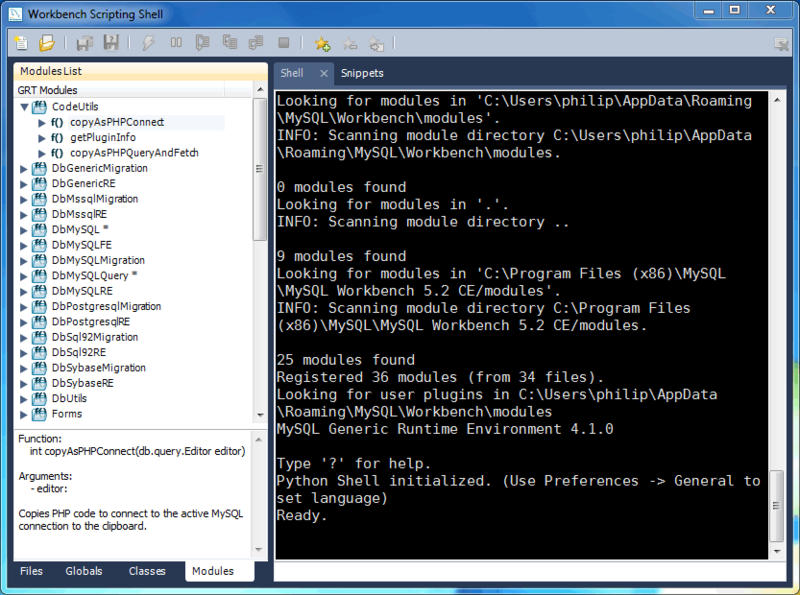 To open the Workbench Scripting Shell, select Scripting, Scripting Shell from the main menu. You can also open the Workbench Scripting Shell using the Control + F3 key combination on Windows and Linux, Command + F3 on macOS, or by clicking the shell button above the EER diagram navigator. The Workbench Scripting Shell will then open in a new dialog. The following figure shows the Workbench Scripting Shell dialog.